On March 23, 2010, the President signed the Affordable Care Act. The final law encompasses 3 pieces of legislation: HR 3590 (Public Law 11-148), amended by HR 4872 (Public Law 111-152), and final amendments. Act of 2010 (‘‘HCERA’’; Public Law 111–152). and may not be cited as ‘‘the law’’. This document (originally dated May 24, 2010) may be updated to reflect corrections of errors or subsequent changes in law. 10221 of PPACA, is shown in a separate document. The following sites offer a comprehensive set of materials regarding the health reform legislation. They include links to the legislative text, general and detailed summaries prepared by staff, summaries addressed to particular groups, states, or issues, and links to other sources of information. Important new site with updates, videos, detailed reports on specific aspects of the law, by demographic group, and location. Reports from the White House, Department of Health and Human Services. 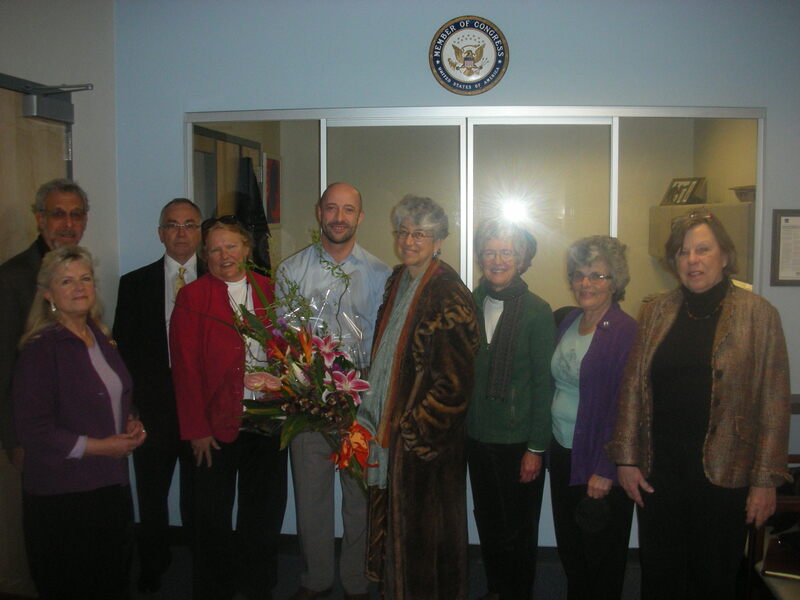 Outline of Prof. LeVeen’s presentation to Alameda League of Women Voters, March 25, 2010. A work in progress, and useful resource – send your comments. 3/25/2010: Passed Senate with amendments by Yea-Nay Vote. 56 – 43. 3/25/2010: Message on Senate action sent to the House. 6:40pm: Rules Committee Resolution H. Res. 1225 Reported to House. The resolution makes in order a motion offered by the chair of the Committee on Education and Labor that the House concur in the Senate amendments to H.R. 4872. Did you find something useful here? Please make a donation to the Center for Policy Analysis. 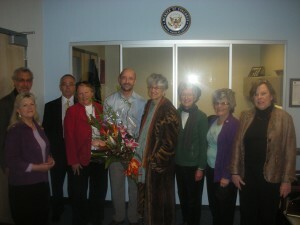 Elinor Blake, John Gilman, Karl Keener, Lee Lawrence, Dan Bernal (Chief of Staff/San Francisco, Rep. Pelosi), Ellen Shaffer, Debbie LeVeen, Roma Guy, Sandra Lang. Taking the picture: Mark Herman, Health Policy Analyst, Rep. Pelosi. This entry was posted in National Health Reform Law. Bookmark the permalink.